The Moselle department is a great place for nature lovers to unwind and hikers to explore. It is home to the Parc Naturel Regional de Lorraine containing 2000 square miles of dark forests, gentle streams and placid lakes that have been luring family holiday makers for many years. Metz, home to 200,000 people, is the departmental capital. This modern and cosmopolitan city is the very antithesis of the rolling countryside that surrounds it. Originally a religious centre and subsequently a military stronghold, in more recent years, Metz has emerged as an important base for the high tech industries. Today, however, it is most renowned as a buzzing shopping destination. The pedestrianised and very commercialised city centre is based around Place St-Jaques. Here, frenzied retail therapy takes place amongst array of stunning buildings from a bygone era. The famous Cathedral St-Etienne is located along the Moselle River in the heart of the Metz. Inside, you'll find some of France's finest stained glass windows dating from the 13th to the 20th Century. On the north and south transepts the windows are decorated in two contrasting styles. The highly colourful Gothic windows built in 1504 contrast heavily with the marvellous Renaissance windows constructed just 20 years later. The best vantage point from which to take in the beauty of the building from the outside is on the small island of Petit Saulcy, which can be reached by crossing a narrow, wooden bridge. Thionville, in the northwest of the department, is the capital of what is considered 'iron country'. For the past hundred years the local economy was based around the extraction of iron-ore from the surrounding area. However, the industry's decline in France led to the gradual closure of the town's mines. There are two good museums in the vicinity on the subject, the Musée des Mines de Fer de Neufchef and the Musee des Mines de Fer d'Aumetz. In recent years, Thionville has begun to embrace new businesses and is by no means a stagnant relic of times past. There are some fantastic public gardens and promenades on top of the old town walls near the Moselle River and the centre has a number of charming and well-preserved old buildings. On the opposite side of the department, Sarrebourg is known for its crystal industry. It is located on the banks of the River Sarre and makes a delightful starting point for hiking and walking trips into the lush countryside. 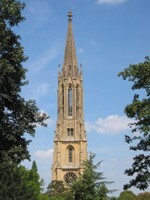 There are two popular events held every year, the International Music Festival in May and the Cheese Fair in July. There are currently no airports within the department offering direct flights to/from the UK. You could fly to the Paris airports, and continue by rail or road from there. Or there is Basel/Mulhouse airport which is nearer, which currently has easyJet flights operating to/from the UK. If you'd rather take your car, however, the best option would be to take a ferry to Dunkirk, Calais or Dieppe. The TGV services to eastern France should also be considered. 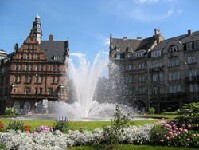 Property prices in Metz are quite high, partly due to the high interest from Luxembourgers. The smaller villages in the department do, however, offer some great value for money. Do you know Moselle better than we do? Do you have photos of Moselle? Moselle is in the east of Lorraine.